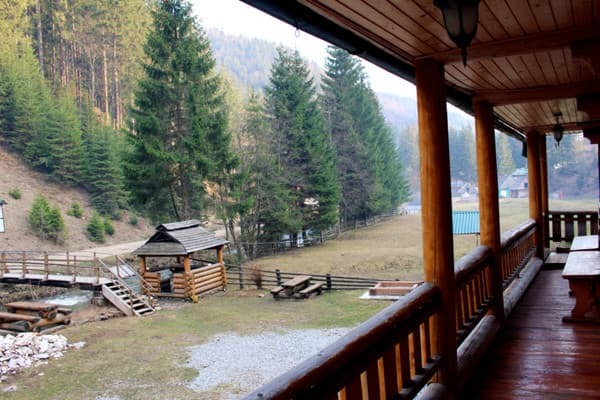 Gostiny Dvor "Sinevir" is located in the village of Sinevir, 18 km from Synevir Lake. 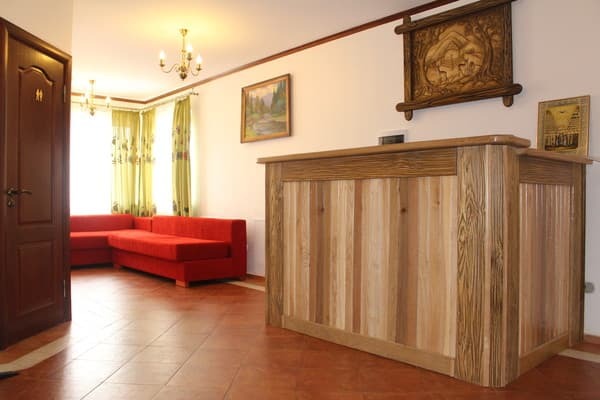 The new and comfortable hotel "Sinevir" is an ideal place for winter vacations and bright summer holidays. 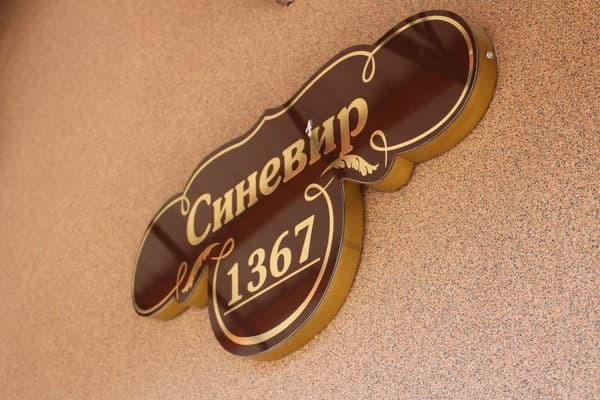 "Sinevir" is a two-story building, the number of rooms of which consists of 9 cozy rooms. 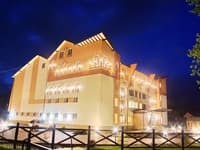 The hotel offers rooms of the category "standard" and "junior suite". Each room has excellent conditions for living, TV, wi-fi, refrigerator, closet, bathroom with shower, hairdryer and everything you need for relaxation. There are gazebos and barbecues on the furnished territory. 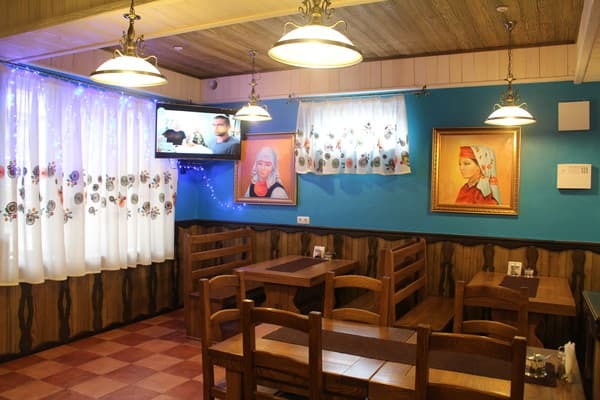 In the hotel restaurant, guests can taste dishes of Ukrainian and Transcarpathian cuisine. For those who travel by car there is a free car park, transfer is possible. The distance to the nearest ski lift is 7 km, from the regional center of Mezhgorye - 15 km. 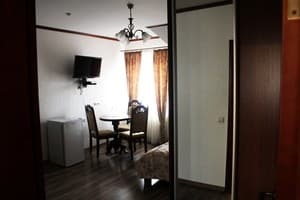 Description of the room: In the room there is one double bed with a folding armchair, a wardrobe, a table, chairs, bedside tables, a shared bathroom (2 bathrooms for 3 rooms). Description of the room: Spacious room for three people. The room is perfectly balanced space for each guest separately and at the same time there is a common space for the recreation area. The room is ideal for active people. There are three single beds in the room. Bathroom - common (2 bathrooms for 3 rooms). Description of the room: The cozy room is equipped with one double bed. The cost of additional space is 65 UAH. In the hotel restaurant you can taste dishes of Ukrainian and Transcarpathian cuisine. 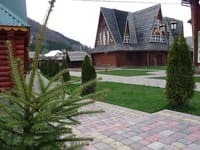 Gostiny Dvor "Sinevir" is located in the village of Sinevir, 18 km from Synevir Lake. The distance to the nearest ski lift is 7 km, from the regional center of Mezhgorye - 15 km. Trains Uzhgorod direction to the station. Volovets, then by bus or by taxi through the town. Mezhgore in the village. Synevyr. 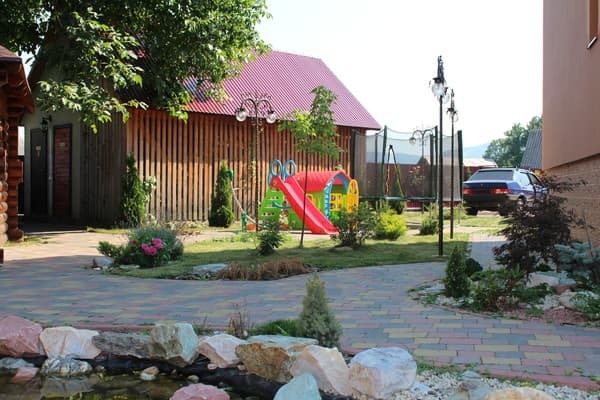 By car: Take the Kiev-Lviv-Chop (M-06) road, turn to the Nizhny Vorota village in Mezhgorye. In the center of the village turn at the sign to Sinevirskoe lake, go 14 km to the crossroads, where turn to the right to the village of Sinevir. In the village to go about 200 m, the guest yard is to the left of the road. The hotel can arrange a shuttle service at an additional cost.